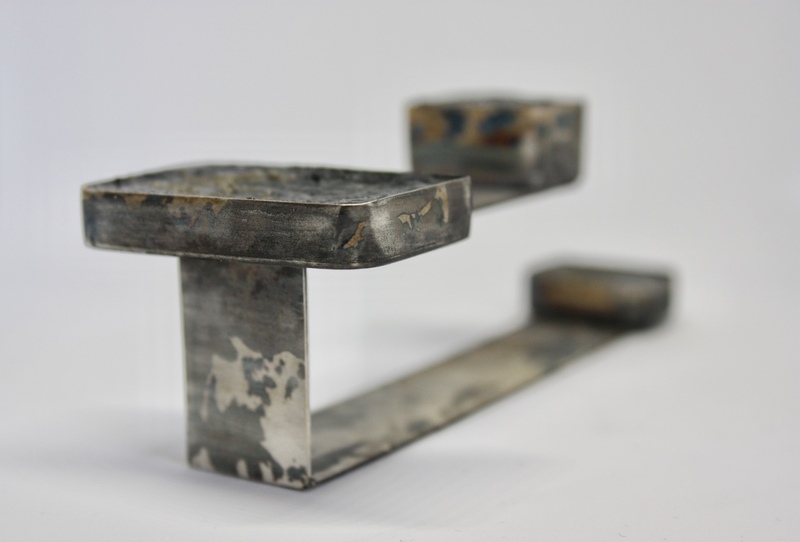 Black Country artist, and recent graduate of Birmingham’s School of Jewellery, Gemma Stanley is producing some incredible, experimental jewellery. Inspired by her architectural surroundings, she creates wearable pieces based on concrete, modern architecture and brutalism. 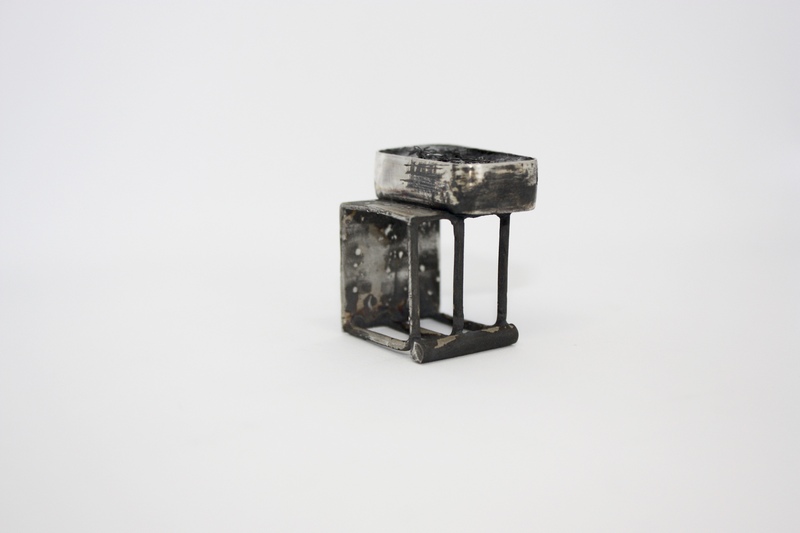 Her bold, fine art jewellery explores the social classification system, and promote an appreciation for the working classes. Much of her work references the aesthetic qualities of a council estate closely related to her childhood, and focuses on textures and nuances of tone through a monochromatic palette. By juxtaposing other materials, such as silver, with the concrete, she questions what we deem precious. I caught up with her to find out more. You talk about your work referencing architecture, and specifically a council estate related to your family. Can you tell me a bit more about this? The council estate that inspired my most recent collection is in an area called Colley-Gate, part of Halesowen in The Black Country. 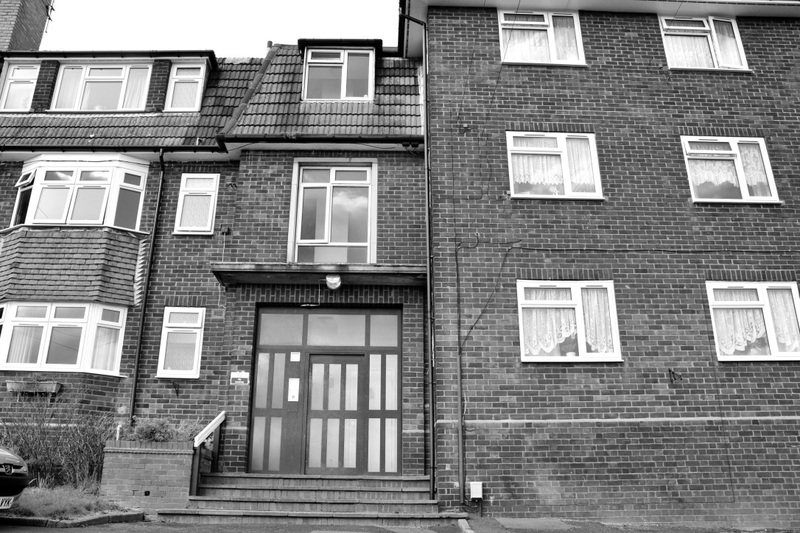 While it wasn’t where my childhood home was, I did spend a great deal of my youth there as it was a nearby area to myself where my grandparents lived for 50-60 years, including the upbringing of my Dad. Do you make drawings on site or from photos? What is the journey that takes place before they become pieces of jewellery? A combination of both! I do take a notebook/sketchbook out with me when taking photos as I find making quick observational sketches helps to create a different approach and quite often helps me focus on what it exactly is that I’m trying to respond to. The majority of paintings and drawings are made afterwards as I have more time to develop them further, play with scale and medium and consider how I can best develop. I tend to initially create quite literal drawings that later influence my more abstract pieces, from this I then create design drawings of potential wearables that have been advanced from the form, structure, colour/aesthetics that are working better visually, whilst still relating to my original concepts. And what materials do you use in your practice? I love experimenting with different alternative materials, however have found a particular attraction to the qualities of concrete. I play around with different aggregates to create different concrete formulas; for example, using finer building sands for a smoother finish, or adding chunkier pieces of rock/stone for a rougher effect. In terms of metal, I work with either bronze, copper or my current favourite; silver which not only is incredible to work with because of its softer qualities, but I am more drawn towards the cooler tones it visually offers. Medium play is very important in my practice as it feeds into the concept of my work; exploring contrasting materials helps to subvert the notion of what is deemed precious and challenges the meaning of value. How would you refer to your pieces? For me, there is a sculptural quality which moves them into fine art. I’d refer to them as contemporary jewellery pieces; somewhere in-between commercial jewellery and fine art as a lot of my work is conceptually lead and could take shape in any form/material. I tend to explore shapes and forms in a much more experimental fashion before narrowing down my ideas, and therefore often end up with a playful mixture of wearables, that are then adapted into more commercially functioning pieces. My artistic influences are always growing as I discover more, with a lot of my favourite artists and designers creating work polar opposite to my own. However, in terms of my recent work, I’d say my inspiration stemmed from: photographer and filmmaker Janet Mendelsohn, painter George Shaw, collage artist Greg Sands, textile designer Marlie Hoevers and Jeweller Reké Fekete. What do you think about Birmingham’s Jewellery Quarter? Is it important to work alongside other artists? I personally love the Jewellery Quarter! I feel very lucky to have been able to study in a smaller building amongst such opportunity and talent, whilst most of the jewellers’ businesses in the Jewellery Quarter are commercially and traditionally lead which differs greatly from my practice, I still find the area to be resourceful as materials, tools, outsourced processes and general advice is right on my doorstep! I think the community spirit that is still just about thriving is something I hope remains there forever as it creates more ability for artists, designers/makers to creatively grow in a much more positive environment. You can visit Gemma’ website to find out more about her jewellery & shop for unique pieces from her collection.